A magnetic device was designed and manufactured to assess the implications of using magnetized saline water for crop irrigation on plant growth parameters and properties of soils grown thereon. 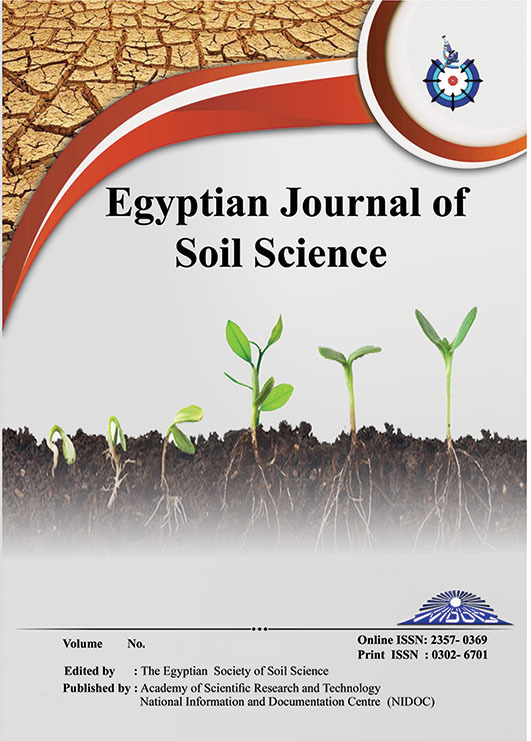 To reach this aim, four soil types differing in their textures and contents of soluble salts, were sampled, uniformly packed in PVC columns and then cultivated with wheat grains (Triticum aestivum L.). Two weeks later, plants received one of the following treatments for water irrigation i.e., tap water (0.4 dS m-1), magnetized tap water, saline water (7.5 dS m-1) and magnetized saline water at a rate of 120% of FC to collect water draining from each column. Significant improvements in both the growth and yield parameters of wheat as well as in the soil chemical properties (i.e. pH, ECe, Na+, Cl-, SAR, available N, P and K contents) occurred due to irrigation with the magnetized saline water compared to irrigation with the non-magnetized saline ones. This magnetized waters seemed to increase the leachability of salts downwards the soil columns. The corresponding increases attained by magnetized saline water were higher than those attained by magnetized tap water. Also, NPK contents increased significantly within the different plant parts owing to magnetizing the irrigation water. Moreover, phosphorus fertilizer use efficiency increased significantly due to the irrigation with the magnetized waters i.e., the saline or the non-saline one compared with those received the non-magnetized waters. In conclusion, magnetizing irrigation water of low quality might reduce its negative implications on the grown plants and minimize accumulation of salts with the surface top soil.